The name Stromae is a verlan (a rehash) of the word Maestro, Stromea’s naïve language is French, and that makes it- as for many French speaking cloud providers – harder to become an international success. Across Europe consumers and businesses still look first for national and second for Anglo-American providers. And that’s a shame, because despite the language barrier – which is magnified by the very fast pronunciation in southern Europe – there are some very interesting developments and products coming from those parts of the European Community. For example the French OVH – named after the nickname of its Polish- French founders but also the acronym for “On Vous hébergé ” (We Host You) – has become one of the largest providers of hosted servers in Europe . With over one hundred forty thousand servers they come pretty close to American web giants. Long before Facebook started this, the engineers of the French start-up OVH designed their own servers and (often airco free ) data centers . But until recently – just like for Stromea – virtually nobody had heard of this French pioneer . In addition to private initiatives France of course also has several government-related cloud projects , such as CloudWatt and Numergy, who both arose from project Andromede . One of these suppliers recently announced a partnership for the Belgian market with Belgacom , which is also the country where Stromea comes from. His roots make its French a lot more accessible to northerners, although the spelling of a number as Papaoutai still requires some background knowledge (in school we would have written this as “Papa , Ou Est Tu”). The creative approach of Stromae , which he during performances – such as during TED Brussels – often shares with the public, is similar to the approach of modern cloud providers . In most cases he starts (obviously at the computer) his songs with a few simple primitives, which he automates. Next he adds more complex themes and variations (for an example see youtube : Stromae – Alors on Dance / How it was made), an approach also followed by various cloud providers. Smart cloud providers start their offer with a simple storage or compute service. This is then – including the API programming interface – made available to both the market and to private developers so that both simultaneously can expand on these primitives. The advantage of this approach is that both the lower services can prove themselves in the market ( and can be improved where necessary ) while the various development departments of the cloud provider can build new services on tp of the primitives . Recent research shows cloud providers can add new services three times faster than traditional providers . 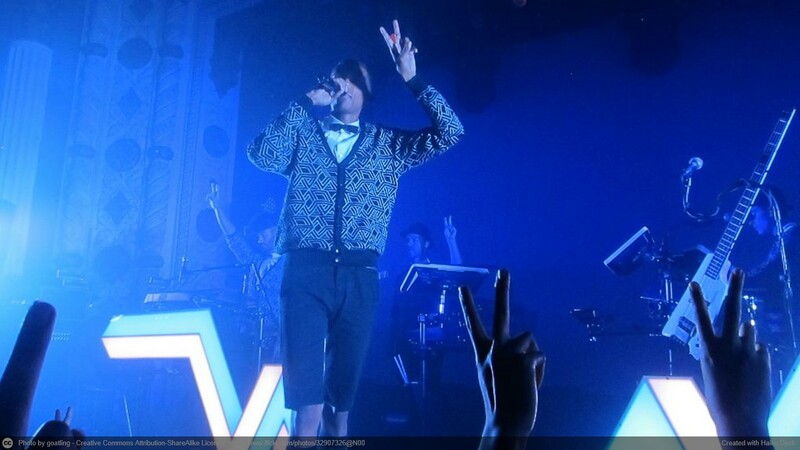 The approach of Stromae is however a lot more transparent than that of many cloud providers. In his performances he shows in detail how the number is created. Unfortunately, many cloud providers treat the way their cloud services are created as a kind of black magic. A recurring theme for both is showing two faces. In Stromea these faces often have an androgen male / female themeVideo , while cloud providers will show a consumer and a business face . The first side – also called commodity cloud – presents itself as a platform for public services specially designed to reach millions of consumers while the other side focuses mainly on supporting existing applications that were in most cases never designed to run on cloud computing. Question is who is more convincing in performing this somewhat schizophrenic task. Stromae is a French speaking singer-songwriter and video performer of Belgian-Rwandan origin . With the very danceable “Alors on Dance” (2009 ) , he reached the top of several European radio and dance charts. In more recent songs like Papaoutai and Formidable – a song in the tradition of the great French chansons – he shows a very different side of himself.